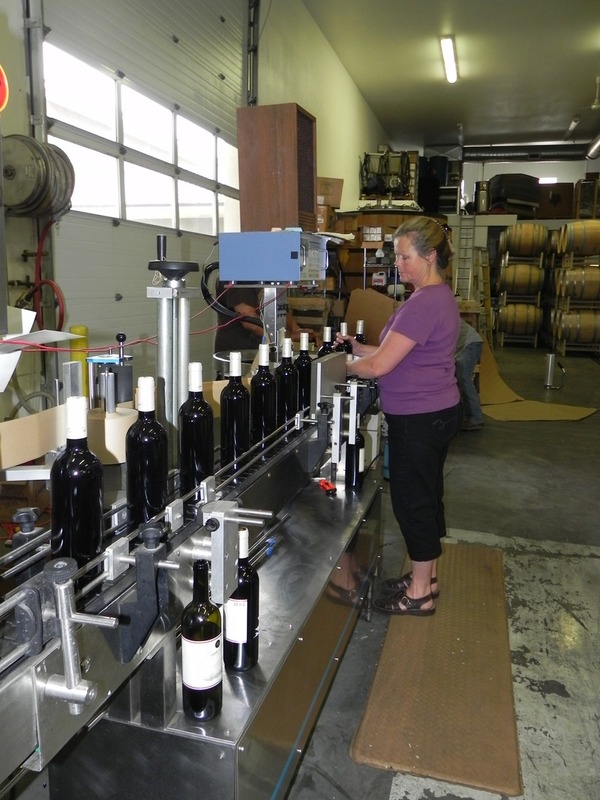 Debbie oversees the labeling process on our bottling line in the production room. Dave Hansen, Cougar Crest's best forklift driver! 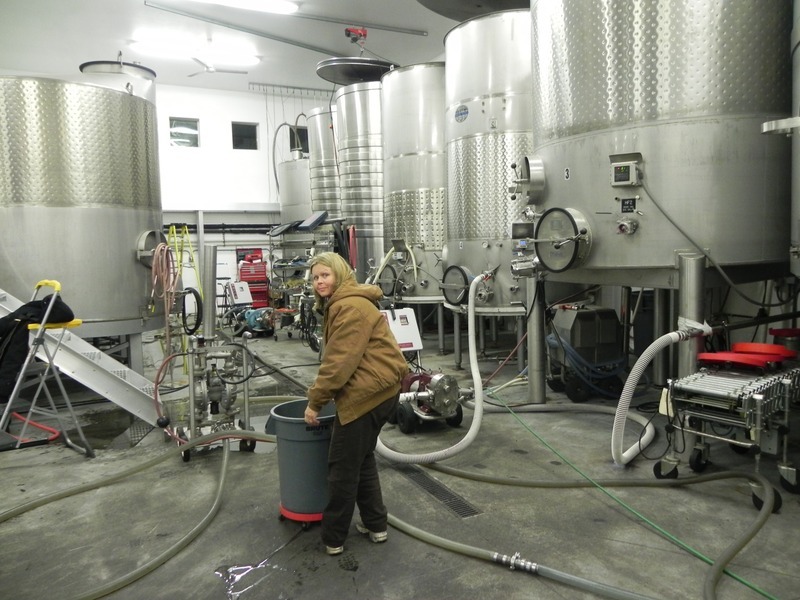 Debbie effortlessly controls 4 wine pumps simultaneously during the racking process. 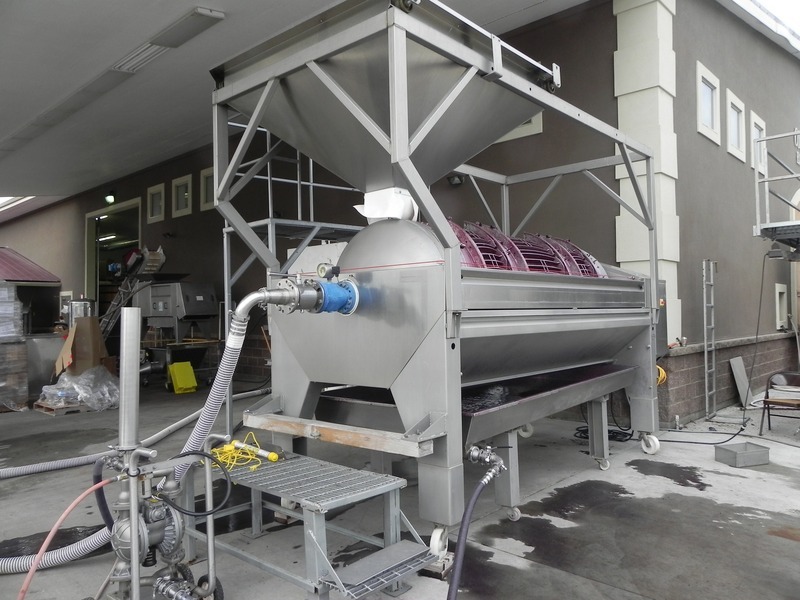 Freshly fermented wine grape juice and skins are poured into the top of this press. 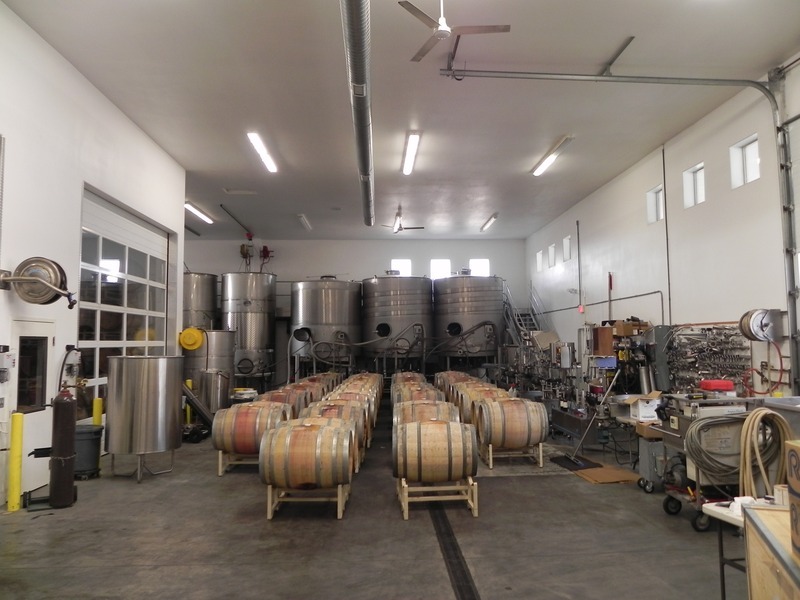 Once pressed, the new wine is pumped into barrels to age. 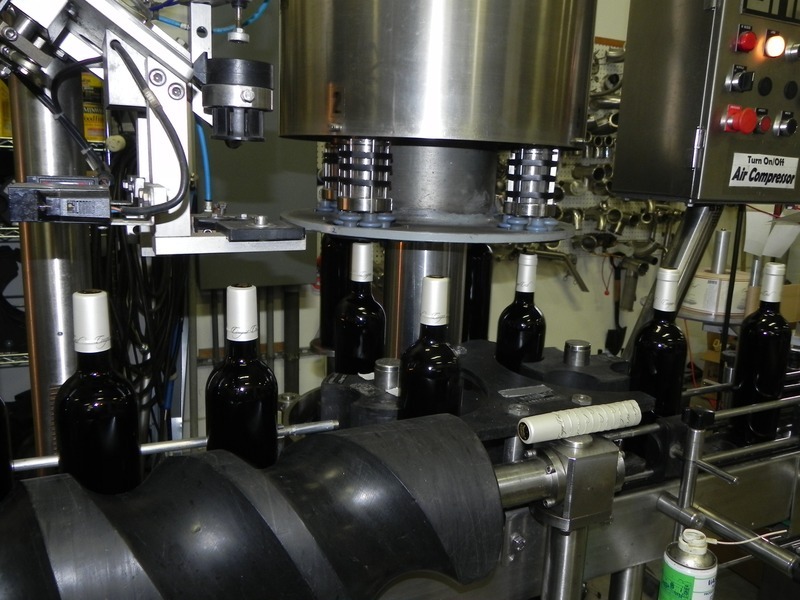 The capsule spinner on our bottling line spins loose tin capsules tight over the top of unlabeled wine bottles at high speeds. 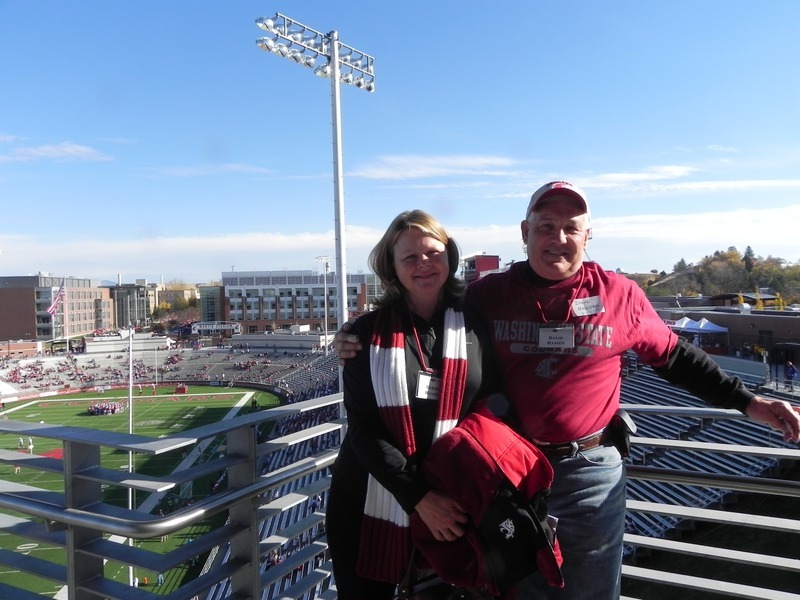 Dave and Debbie cheer on Cougar student athletes at an alumni football event at Washington State University. Barrels fill the production room during the topping process. 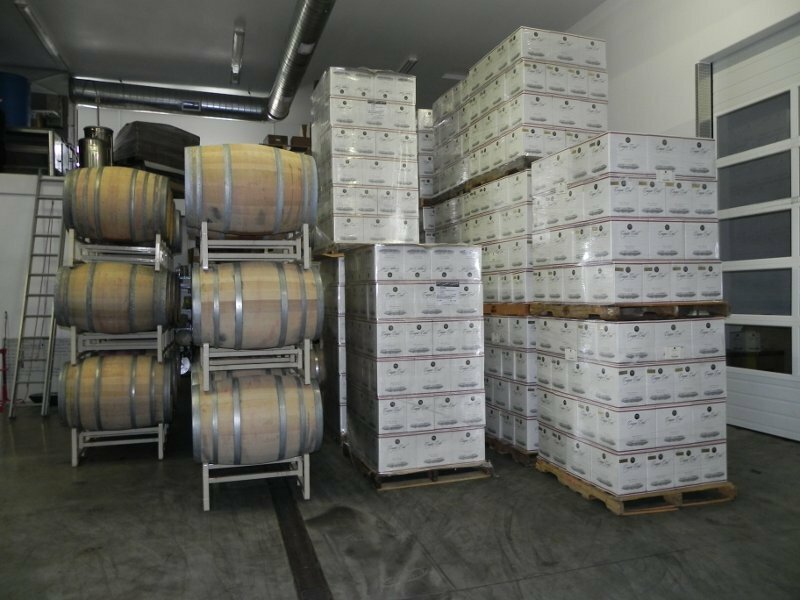 Because barrels respirate while the wine ages, it is necessary to 'top' the barrels with additional wine to maintain proper volumes. Newly fermented wine drips from the press into a gathering tray before it is pumped to barrel. Empty bottles stacked high on pallets ready to begin their journey through the bottling line. 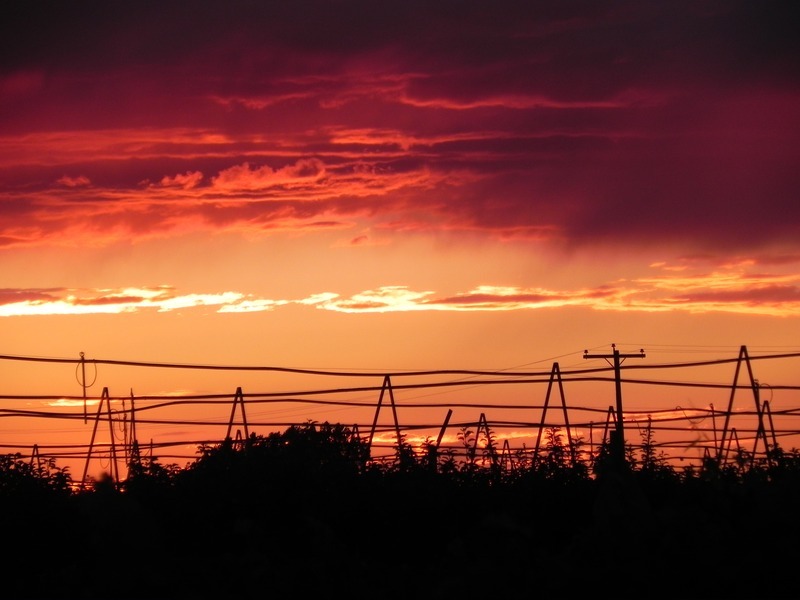 Another gorgeous sunset over the Cougar Hills estate! View from the top of Cougar Hills Vineyard. 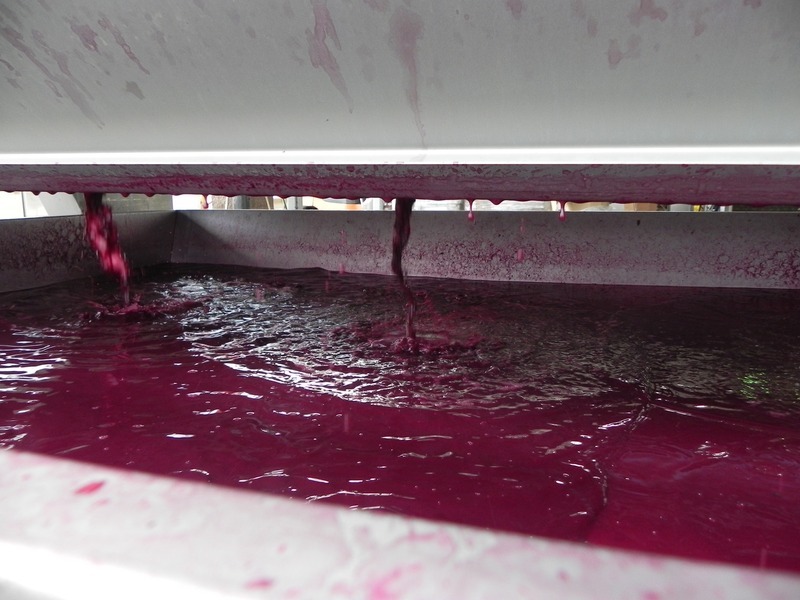 Freshly fermented grape juice and skins are poured into the top of the press prior to entering barrel. 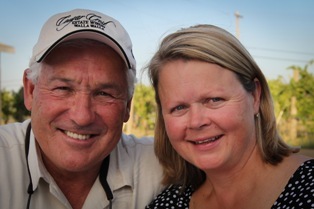 Dave and Debbie smile together at family friend and tasting room associate Renee's wedding. 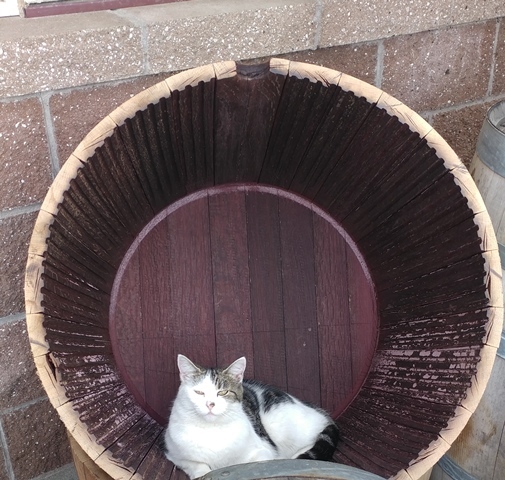 Our winery cat Whiskey runs the show at Cougar Crest! 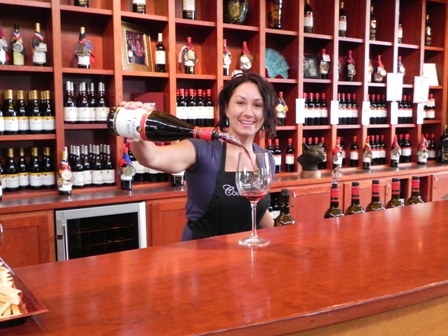 Come to our tasting room at 50 Frenchtown Road in Walla Walla to taste some of the most acclaimed wine in the region! We are open daily from 10-5. Enjoy table side service on our front or back patio! Our front patio offers a view of the Blue Mountains and a small Viognier vineyard. Enjoy some sun and beautiful Walla Walla wines with us outside. Please call ahead for parties of ten or more. Owner Dave Hansen is the master of all equipment at Cougar Crest! Here he is adjusting the crusher/destemmer equipment that pulverizes grapes and drops them into fermentation bins. Assorted Cheese Platter: Two cheeses, salami, crackers and a side of grapes for $13.00 at the Walla Walla Tasting Room!